A step by step guide walking you through how to build your own Multi-Event container app. 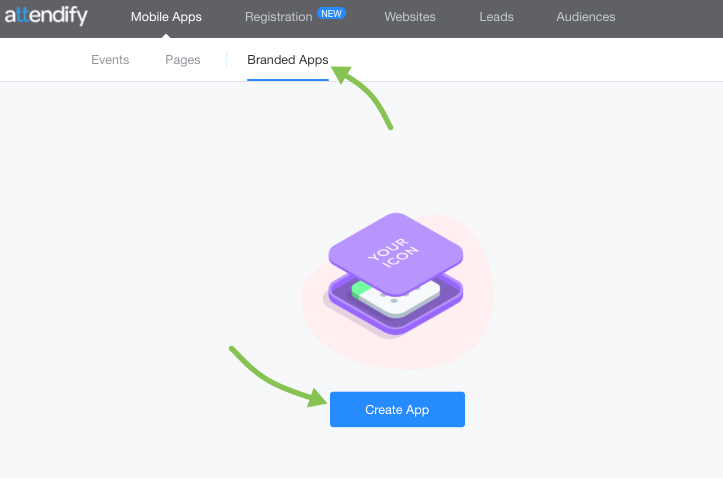 To get started with building a Multi-Event App, sign up for a free Attendify account and navigate to the Branded Apps section of the dashboard. One there, click the "Create App" button. 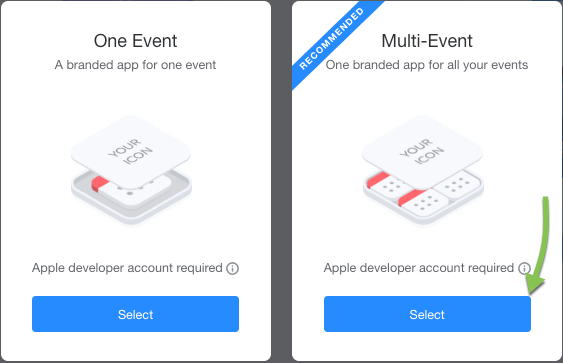 On the pop-up window, select the Multi-Event app option. Add your app name on the "Features" step - it will be displayed on the App Store & Google Play. 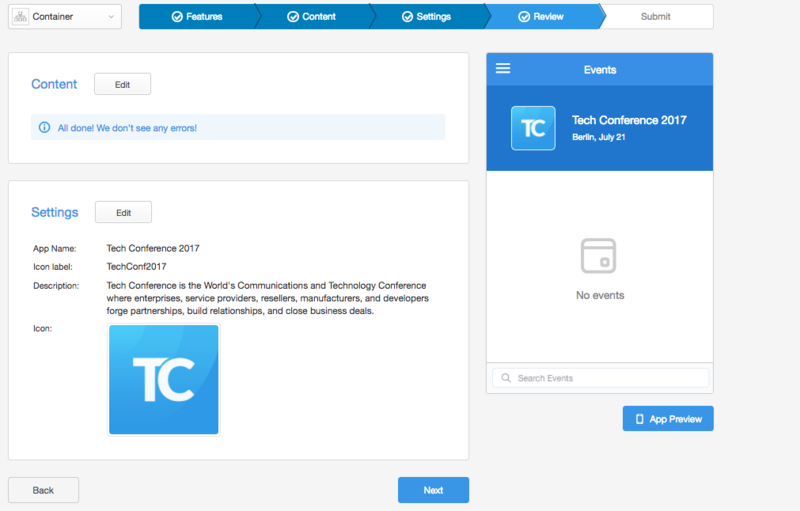 Make sure it's relevant to all of your events that will be hosted in this app. 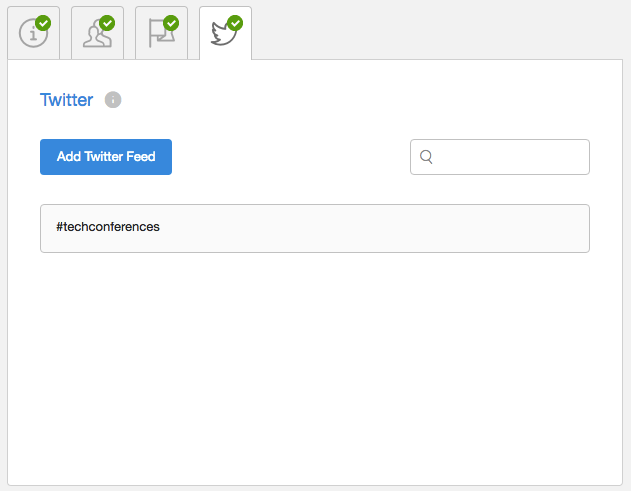 Drag and drop "Features" (Twitter, About) to create your general menu (they can be renamed and adapted to include any type of content). You'll be able to modify the menu instantly, even once your app is live - so don't sweat it! 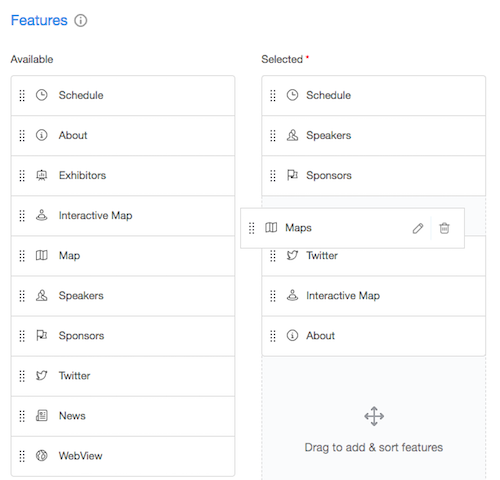 Your container app menu can be short & simple - it will be accessed before attendees "Join" each event and should include overall information relevant to all events, such as "Contacts" or "About Us". You can upload content in bulk using our easy templates or add items one-by-one (staff members, partners, etc). Don't worry about finalizing all content - you'll be able to edit it at any time, even once your app is published. As long as your content looks real (no placeholders, such as "to be decided"), you're good to go! Upload optional splash screens that will be shown for a few seconds while your app is loading. 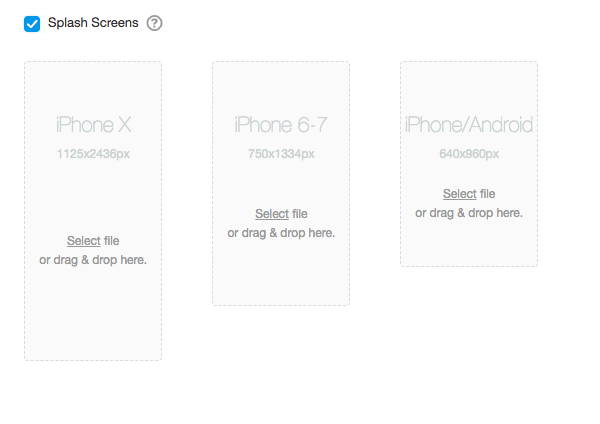 Both splash screen sizes will accommodate all types of devices. You may also restrict access to the app based on attendee e-mails (this setting is flexible, so you can disable it at any time). You'll be able to upload a list of attendees after the app is submitted. 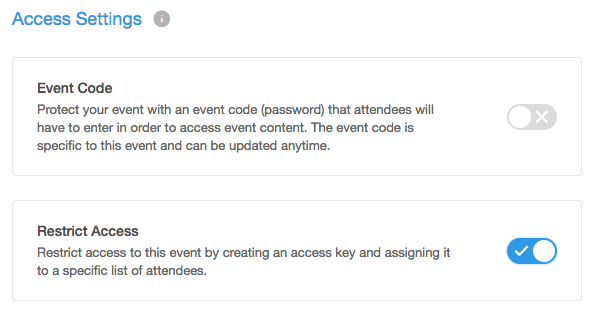 Another option is to keep your app open and limit access to individual events (this can be done on the event level). 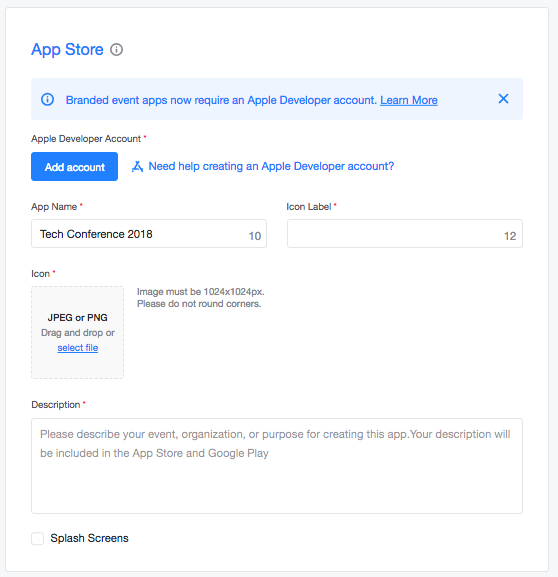 Double-check any missing items on the "Review" step and continue to the "Submit" step once you're ready to launch your app. 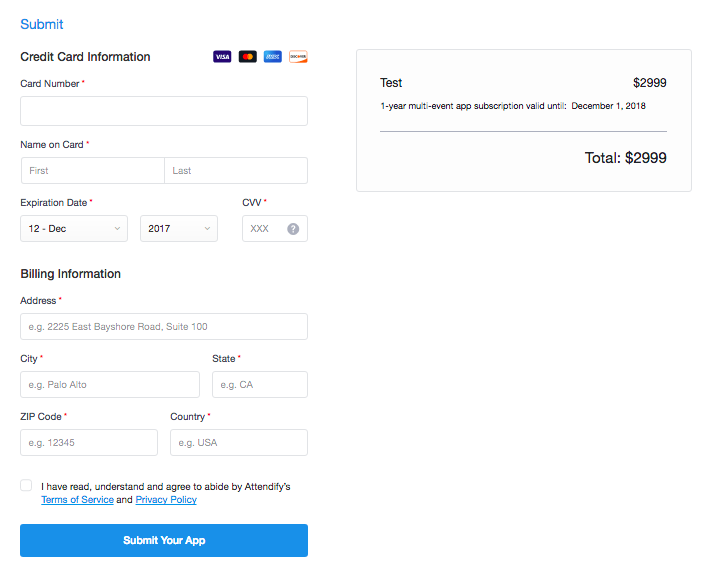 Fill out your billing information and submit your app with a single click - the publication process from this point on is 2-3 weeks. We'll send you a notification as soon as your app is live! As soon as your app is submitted, you'll see additional features revealed in your account - they will be fully active once your app is live. You can continue building out your app while it's in review and after it's published - so there's no waiting time. Make sure to click "Publish" on the last step when you want your event to go live. 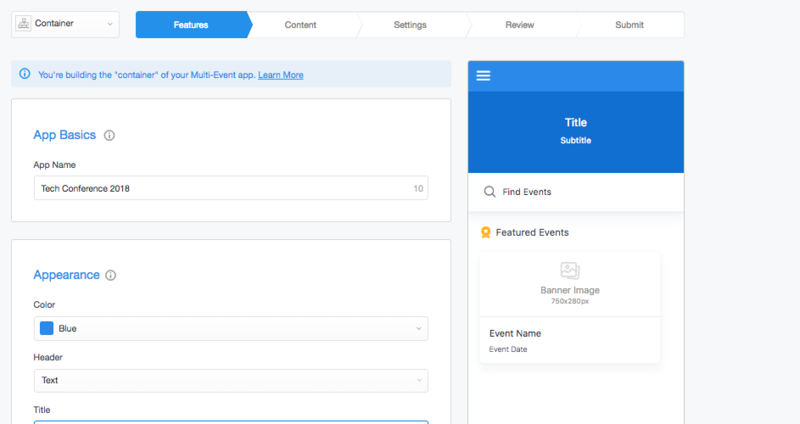 Events will be published instantly - there's no review time - so you can launch them right away, in minutes! Content within each event (menu & information) is completely flexible and can be updated instantly any time.